The Priest movie bike was a custom build by our team at Cinema Vehicles. It was an important part of the movie that had to match the extravagant style asked by the studio while being operationally safe and functional. Priest is a 2011 dystopian sci-fi action movie, starring Paul Bettany as the eponymous character, loosely based on a Korean comic. The film is set in an alternative universe where vampires and humanity have been at odds for centuries. The story follows Priest, who is one of many warriors for humanity, and his attempts to rescue his niece, Lucy, with the help of the local town sheriff, Hicks. Our team at Cinema Vehicles created the bike that the Priest and Hicks use throughout the movie to travel around the world of Priest’s desolate landscape. 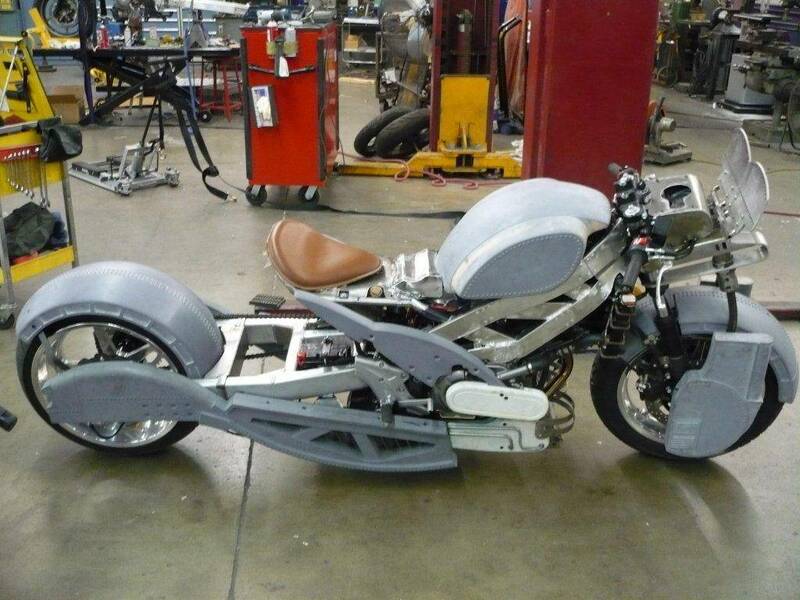 The design for the motorcycle used in the film was made to fit the film’s dystopian, futuristic setting. Therefore, our team built in dust guards onto the front of the bike and padded the bike’s sides with armor. 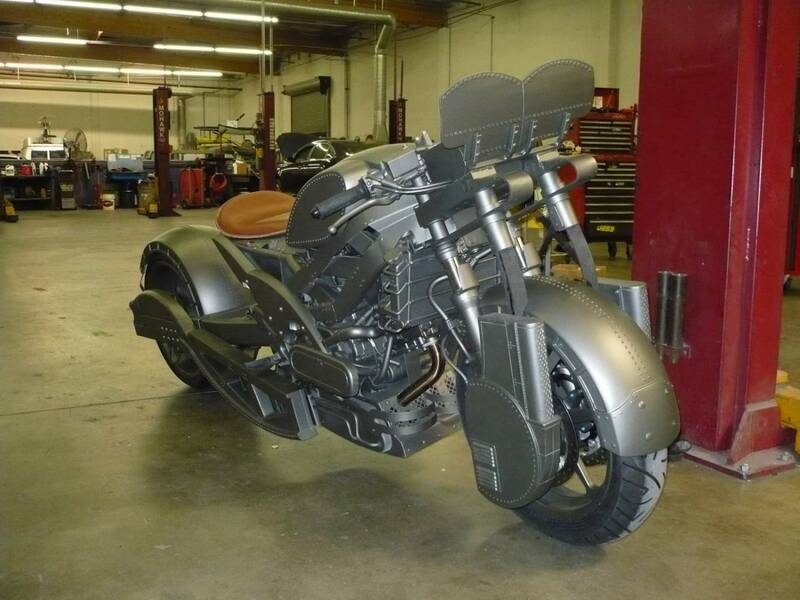 The dust guards on the front of the bike along with the armor-plated wheel well made the bike align more closely to dystopian, desert setting in Priest. Finally, the form of the Priest movie bike was streamlined for the long shots of travelling across the desert seen in the latter half of the movie. 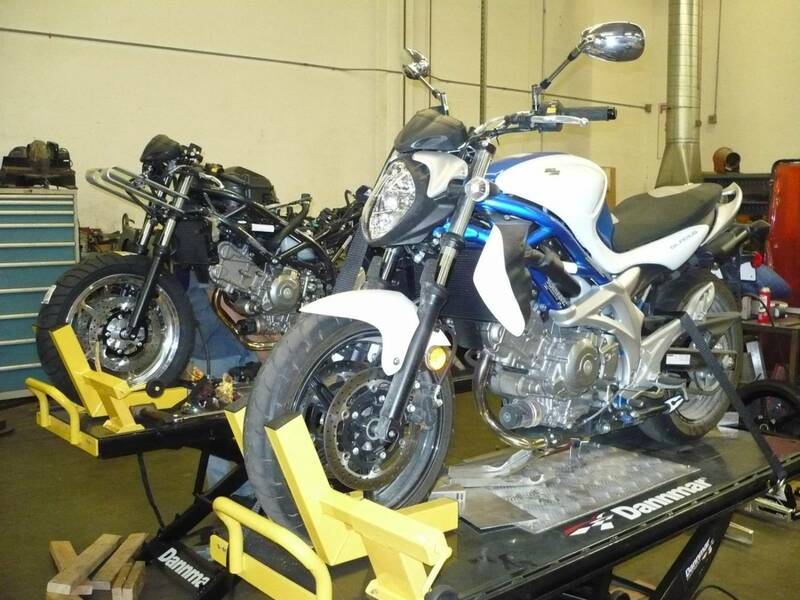 For this reason, our team chose a faster looking, Suzuki bike to fit that bill. The world of Priest, much like other recent horror action films, required a very unique build, which included many challenges along the way. 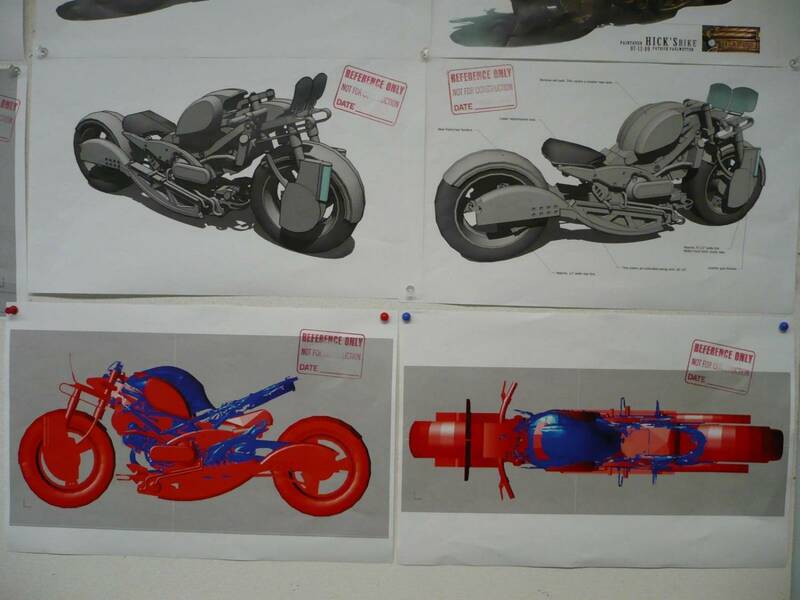 Our team had to design the bike around a standard Suzuki Gladius bike to adhere to Priest’s cinematographic direction. The Priest movie bike had to make sense for the flat terrain of the Priest universe, so that is why we chose to go with the Suzuki as a base bike. 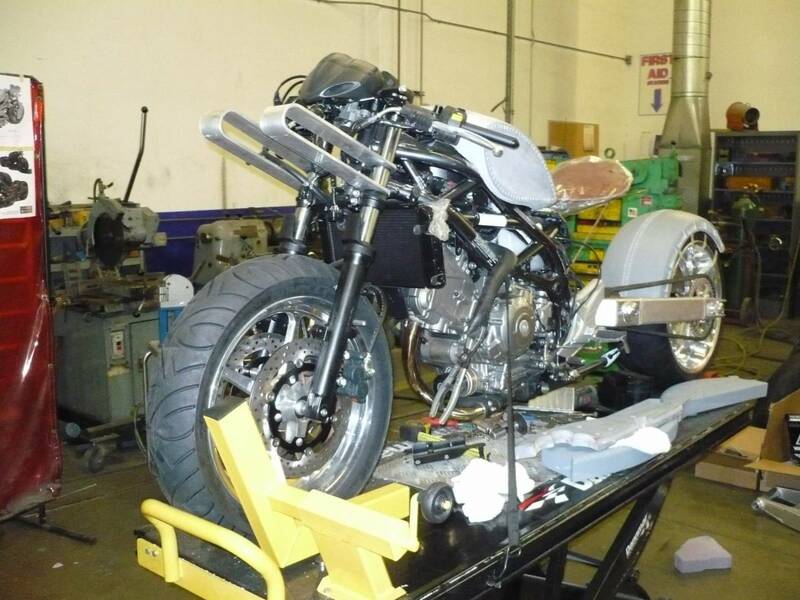 Another challenge with the build is that we had to build one of the two main bikes for the film. Therefore, we had to work with the studio closely to create this unique build. We also had to match the extravagant design from the studio, while also modifying the bike to be operationally safe and functional. 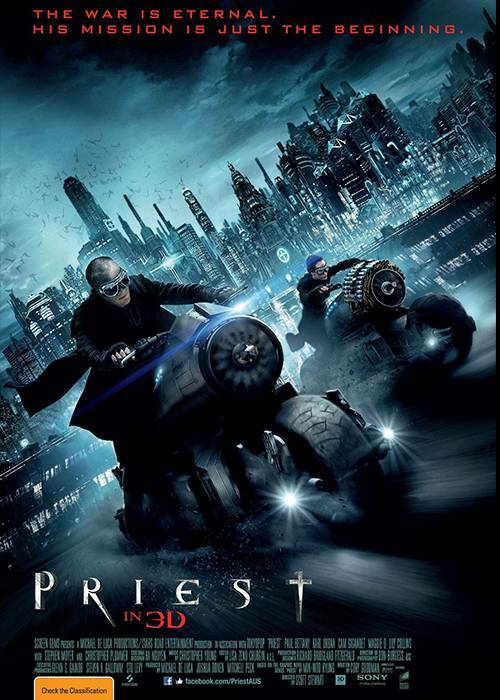 Where Does the Priest Movie Motorcycle Appear in the Movie? The Priest movie motorcycle made appearances throughout the film’s many desert scenes and chase scenes. The design of the bike is most prominent in the initial shot of the Priest and Hicks leaving Augustine in order to go find Lucy. This shot is featured on the film’s main poster. The bike was also shown during the fight scenes against the vampires in their strongholds. The Priest movie bike was an integral part of the storytelling since motorcycles were the Priest and Hicks’ only modes of transport throughout the movie. Our team found the build for Priest to be challenging and fun. The bike that we made for the film was outside our normal requests for modified cars, but we enjoyed the rigor of building an amazing custom bike for the dystopic movie. We thought our design for the Priest bike combined the cyberpunk, futuristic style of the universe with the functionality and safety required for the many action scenes. If your TV, film, or commercial production wants to include a custom built vehicle, please contact our custom build team at (818) 780-6272 or through our contact page.